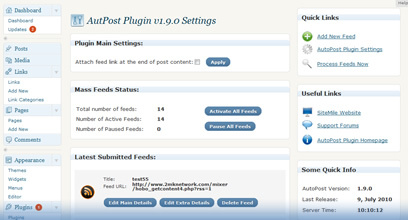 AutoPost is a WordPress plugin that lets you to mass import RSS content from any RSS or Atom feed into your blog as wordpress posts. 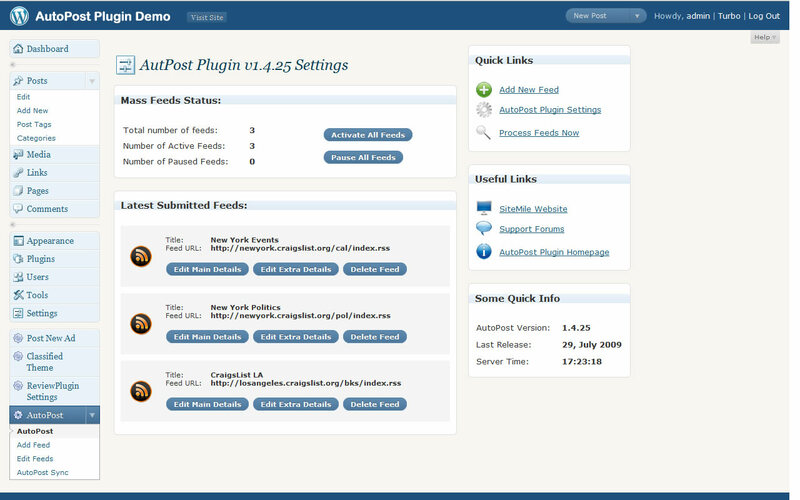 AutoPost is a WordPress plugin that lets you to mass import RSS content from any RSS or Atom feed into your wordpress blog. You can set up an automated blog in minutes, and with Google Adsense or any other ad system you can generate huge revenue based on this idea. 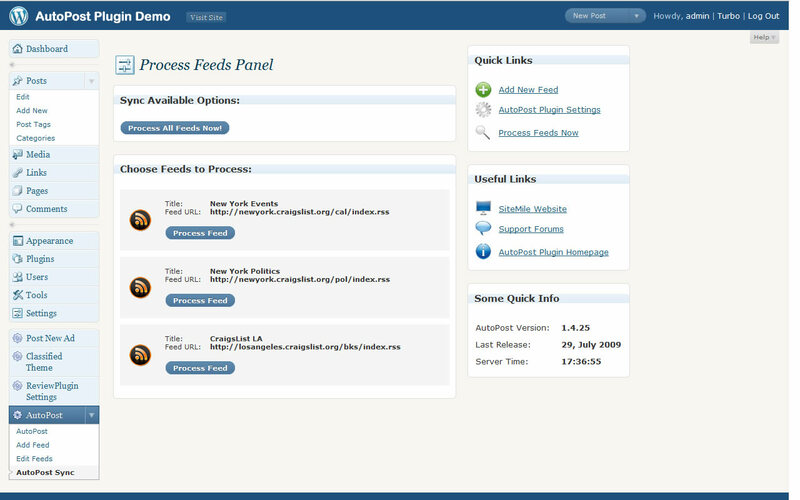 At any time you will have fresh content on your blog, that making users visiting it again and again. 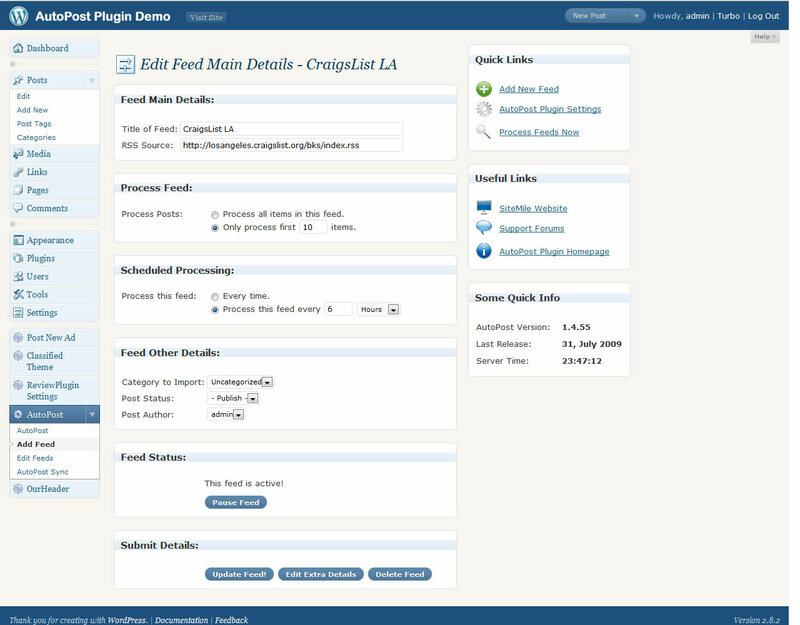 Find out more about the plugin by visiting the demo, and by reading the list of features displayed on this page, by viewing the image gallery and by watching the videos. 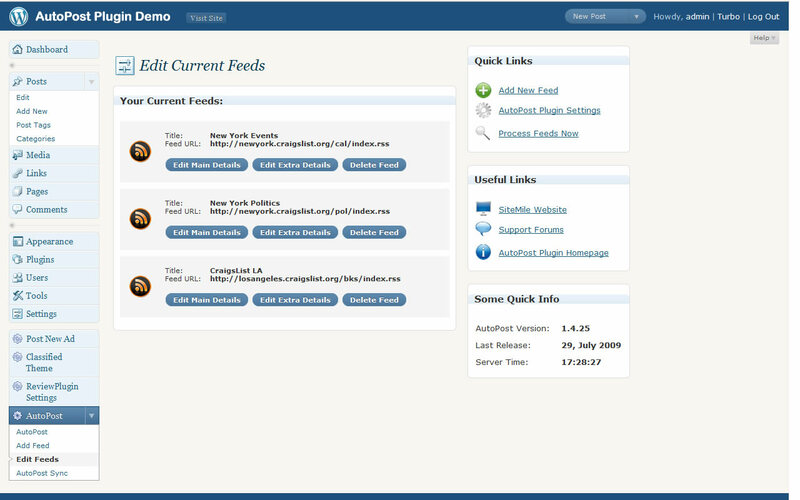 Easily manage your feeds, add and delete. 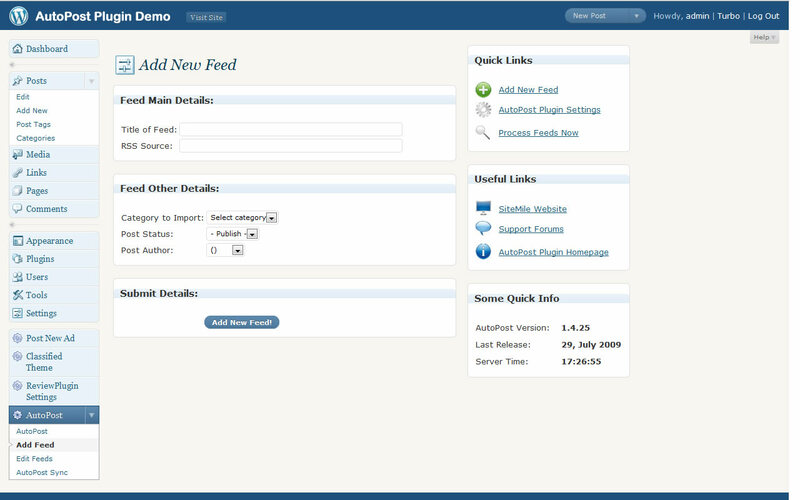 Here you have a sample video of how easy is to control the autopost’s admin side. The video shows you how to set all the options available to import news and content from your favorite RSS source. 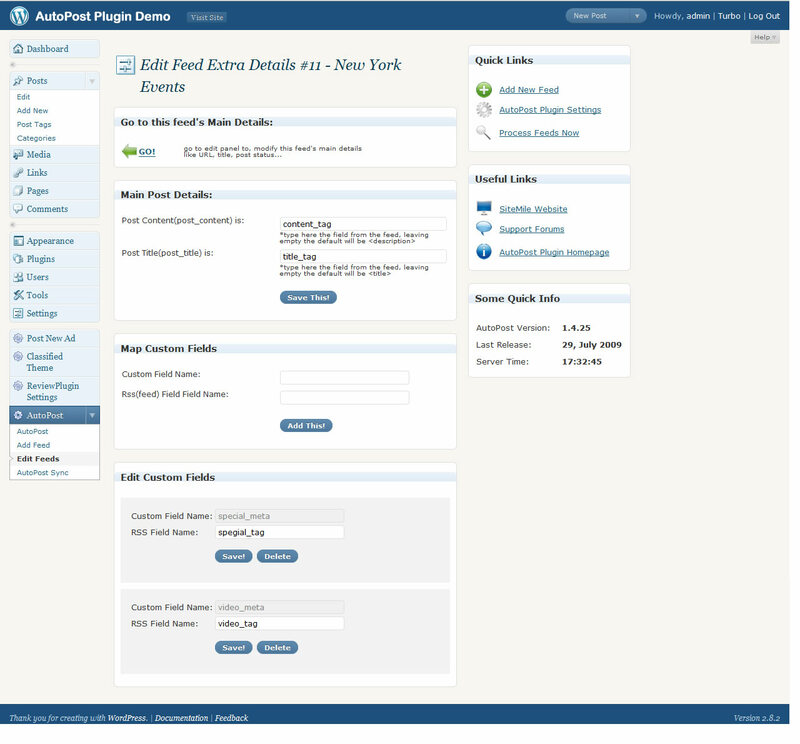 You can use the plugin to create affiliate sites.